A box containing dessert. 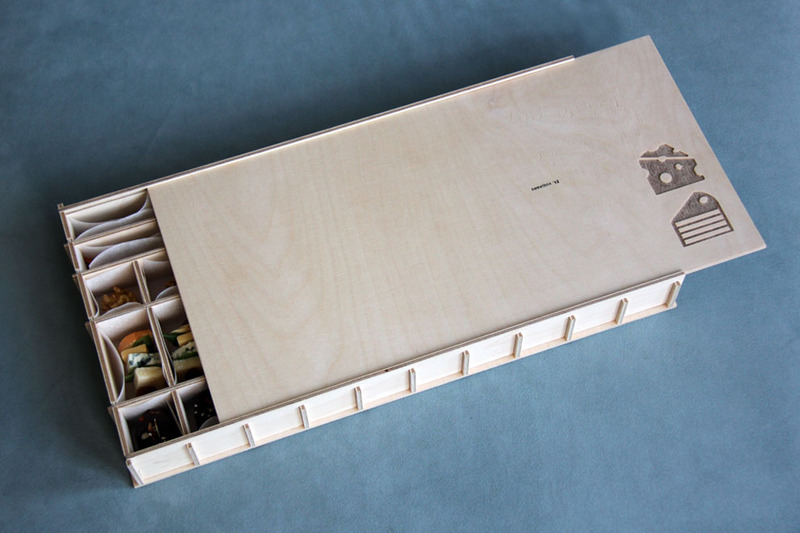 The Sweetbox is a balance between the content and form. 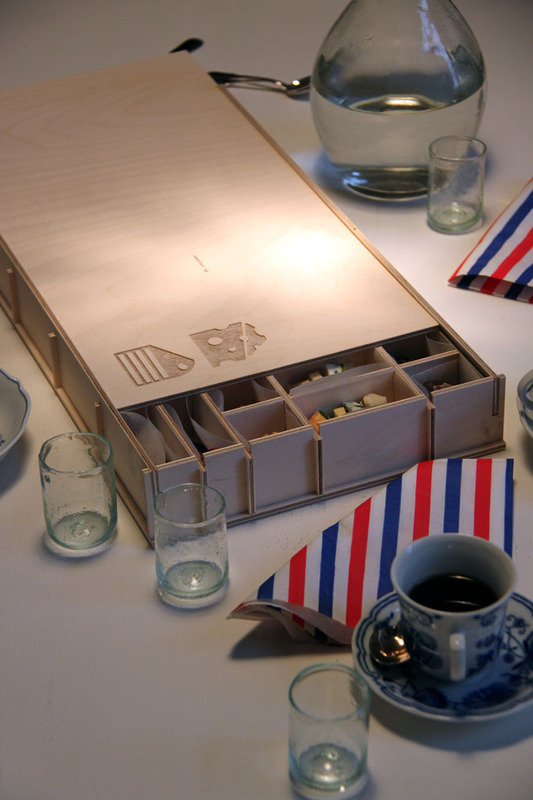 The content of the box is designed to provide the variety of tastes but also visually interplay of forms and food conditions. 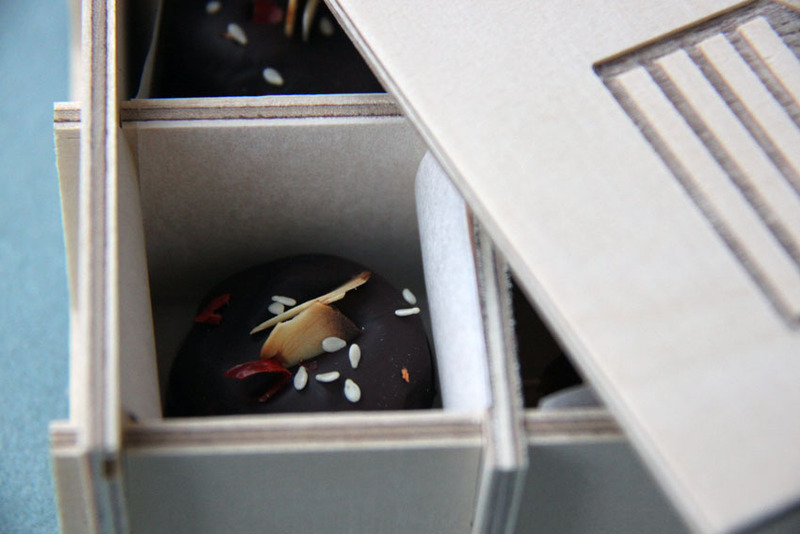 The wooden box is defined to make the Sweetbox a “Bring In” dessert treat/surprise/gift. 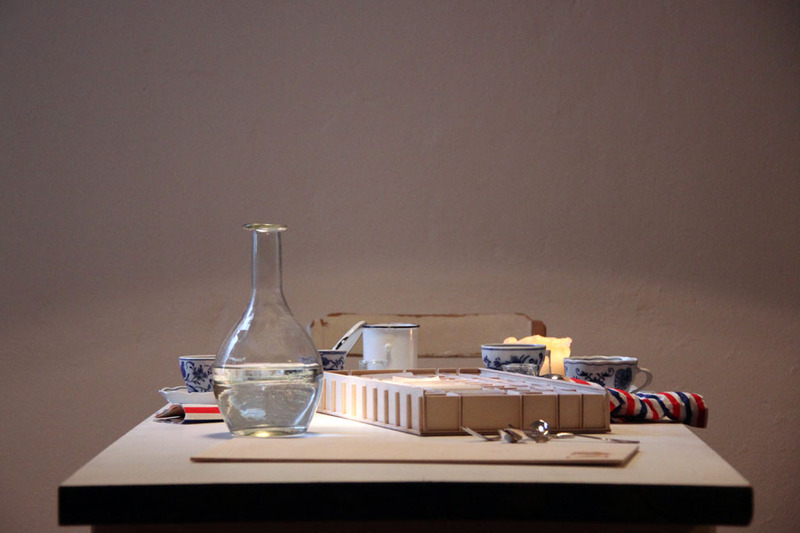 It explores the concept of the dessert through the form as much as its taste: The food is objectified and the wooden object is “tastified”. The inside is divided to accommodate four different tastes and to serve ten people. 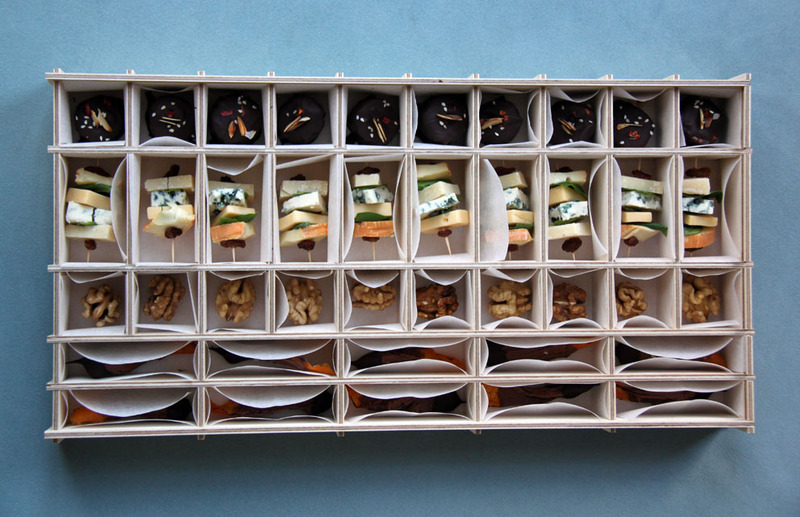 The four desserts in pictured box are: Fresh banana covered in dark chocolate with almonds, sesame and chili; four cheeses and three herbs skewer; still-in-one-piece peeled walnut; grilled orange peel dipped in milk and dark chocolate sprinkled with salt crystals. While thinking on the composition of tastes selection of the food it also plays with its particular form. Some maintain its original growing shape and some are hidden in more geometric form to add the element of surprise. The size of the box shown on images is 45 x 23 x 5 cm and it serves ten people. 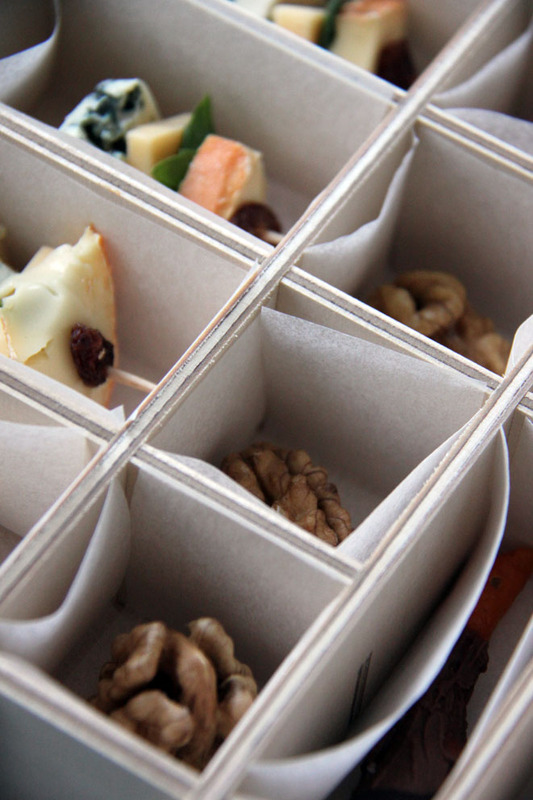 Box dimensions, quantity of dessert courses, type of courses and the number it serves can vary. Box is digitally cut out of 4 mm birch plywood and each container has inlay of a baking paper for easier handling and hygiene. It is perfect thing for various events where you want to offer an extra treat to your guests or clients.